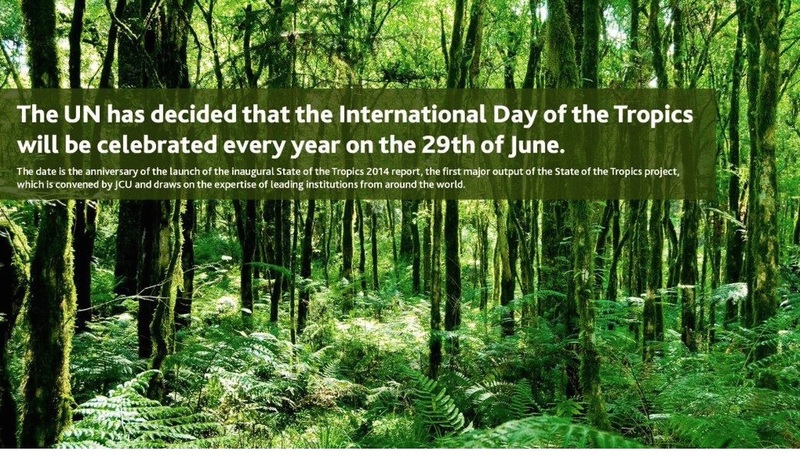 The International Day of the Tropics celebrates on June 29th every year for the extraordinary diversity of the tropics while highlighting unique challenges and opportunities nations of the Tropics face. It provides an opportunity to take stock of progress across the tropics, to share tropical stories and expertise and to acknowledge the diversity and potential of the region. On 29 June 2014, Nobel Laureate Aung San Suu Kyi launched the inaugural State of the Tropics Report. The report is the culmination of a collaboration between twelve leading tropical research institutions, and offers a unique perspective on this increasingly important region. 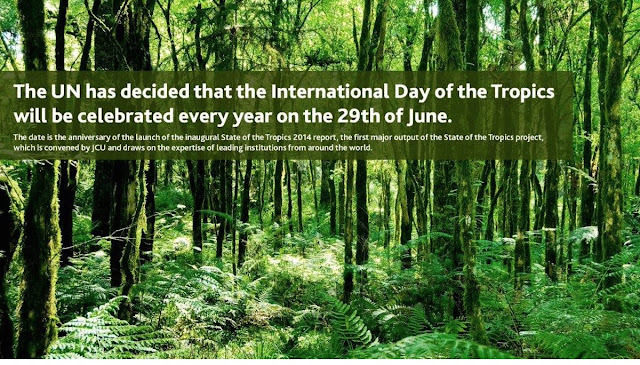 Marking the anniversary of the report’s launch it was proposed that June 29 be inaugurated as the ‘International Day of the Tropics’.